The billing process gathers all charges, prepaid, postpaid and hybrid, due for the current settlement period and creates a convergent invoice for end customers and business partners. The billing can be run flexibly, in regular mode, on-demand, immediate, and in simulation mode. It allows dynamic invoice layout including electronic formats. The billing mode is performed till most recent received UDR. 1) Regular billing: The real billing where bills are generated and all the changes reflected in the database. 2) Information billing: bills are produced for information purposes only .no changes are reflected to the database. 3) Simulation billing: bills are generated in the simulation billing only for the testing purpose. Simulation billing is normally used when new rate plans, services or promotions have been introduced. To execute the customer billing below information are required. Short codes or short numbers are special telephone numbers, to address SMS and MMS messages from mobile phone or fixed phone. There are two types of short codes: dialing and messaging. Short codes are widely used for VAS such as television voting, ordering ringtones, interactive campaign etc. Shorts codes are configured as Special numbering plan in system and there will be special tariff defined by the service provider for using short code service. Short code also differs from normal mobile range and charging pattern is also different from normal mobile charging pattern. Under Normal charging subscriber is liable to pay charges as per charging uses fixed by operator for using the service. Eg: Suppose a SMS short code 8888 (CALLED_NUMBER) is provided by operator to activate caller tune and for using this service subscriber (CALLING_NUMBER) will be charged by amount X .In this scenario if a subscriber wants to activate caller tune on his mobile then for every SMS to this short code subscriber will pay amount X for using this service. In Reverser Charging: CALLED_NUMBER will liable to pay if subscriber using the service. Eg: suppose operator or CALLED_PARTY configured a short code (123456) for promotional offer (free service). If any subscriber (CALLING_PARTY) will SMS or call to this number then CALLED_PARTY will be libel to pay. In this scenario reverse charging on CALLED_PARTY will be set during rate plan configuration. Rating is process to calculate subscriber’s usage charges (Voice/SMS/Other services) as per subscriber’s rate plan and finally loaded into DB for further prospects. The rated CDR further sent to credit monitoring. When the credit amount on the customer’s balance has reached a certain limit, some predefined actions such as granting a discount or sending SMS alert to customer carried out. Rated CDR also further used to analysis of fraud in terms of high usage. Rating of calls made on below parameters. B: Usages volume (call duration/amount of data usage/ number of SMS sent/). D: Premium charges (third party charges). There are various billing solution vendors available and they have their own rating chain for rating customer’s usage. 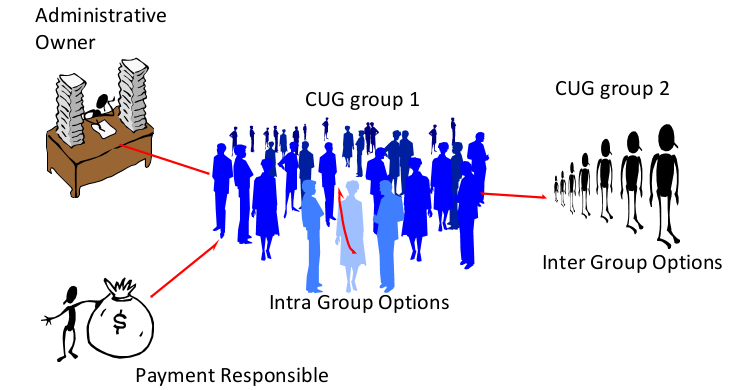 Generally we have two data bases :1-> Customer Data base: This stores the information about customer name/address,customer code, rate plan information, services activated ( primary /secondary) ,customer status ( Active/suspended/deactivated) ,IMSI and SIM information etc. 2: A CDR Database : This stores customers call records .like information about Calling party, called party ,IMEI,IMSI,Callduration, callstart time,call end time, swtich/trunk group used, Call type( MOC,MTC,Roaming,Transit…etc..). 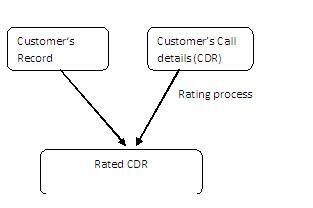 The rating chain fetches customer’s information and rate plan applied on it from Customer DB and rate their usage in respect to usage made reflecting on CDR DB. Roaming allows mobile subscriber to visit foreign network and continue to allow send and receive calls as they were within home network. Depending upon network services they subscribe they can use them as well e.g. Voicemail. A subscriber can only roam in foreign network if their home operator has roaming agreement with foreign network. In such case foreign operator called roaming partner for home operator. The foreign network send the call detail of visiting subscriber to their home network and invoice them for terminating the call, then home network subsequently charges to subscriber for providing this facility. When a foreign subscriber roam in home network the home network send call details of foreign subscriber to their respective foreign network and billed them. In this case home network subscriber visited foreign network and originate a call.Foregin network route the call to their respective home network and finally home network terminate the call to destination partner. 2: Collect and validate CDR send by foreign network of MOC call detail originating within their network and finally home subscriber rate the customer CDR and billed. 3: Return any dispute record within the agreement. 4: Making payment of invoice /settlement of invoices billed by foreign network. 1: Rating of call and event records for subscriber of home network who visited into foreign network. 2: Providing CDR of subscriber to home network, Invoice them as per roaming agreement and settlement of invoices /disputes. Case2: When home network subscriber in foreign network and receive incoming calls. AT Home network MOC call generates first and check for called party profile on HLR. If called party is in foreign network then its VLR profile updated accordingly. The call then routed to foreign network.A roaming call forwarding call (RCF) is generated at Home MSC. Roaming call forwarding call (RCF):RCF is service by which the network forwards calls made to a subscriber who is roaming outside his HPMN.While the calling party pays for the part of the call in the subscriber’s HPMN, the subscriber in roaming has to pay for the roaming leg, i.e. the part outside his HPMN. It creates a MTC record from the <RCF> base part, which must be alone. The difference in between a MTC record from a MTC base part is the charge origin indicator being ‘R’ instead of ‘H’ or ‘F’ . RCF record comes in MSC CDR and finally we rate RCF CDR as well and billed accordingly. Data Clearing House (DCH) is a third party solution based on the GSMA specifications and guidelines. Various operator exchange billing information of the roaming calls as per agreement between them. DCH provide various services to operators like TAP file conversion, TAP file validation, Inter operator tariff validation, Visitor customer activities, Fraud, Roaming agreement management between roaming partners, Invoicing to operators. Near Real Time Roaming Data Exchange (NRTRDE) is CDR interchange workflow developed by GSMA to monitor customers’ activities in the VPMN (Visited Public Mobile Network) networks, and enables the HPMN (Home Public Mobile Network) to detect unauthorized network usage and other fraud issues near real time. Operator generates NRTRDE files and sends to DCH for monitoring subscriber’s activities in visitor’s network. In general, provisioning means “providing” or making something available. This is all about providing telecommunication service to customers, allocation of bandwidth needed. There are three types of provisioning in general telecommunication concepts: circuit provisioning, service provisioning, and switch provisioning. 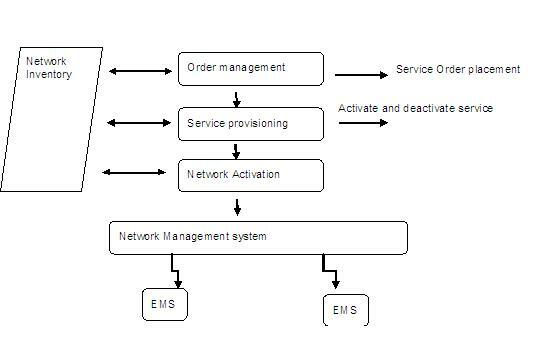 In a wireless environment, provisioning refers to service activation and involves programming various network databases with the customer’s information.